× four = 32 Required Please enter the correct value. Bitcoin prices today plunged to $7,500 per coin on Wednesday afternoon. The world's largest cryptocurrency fell to its lowest levels in five weeks as fear of increased regulation ticked into trader sentiment. Bitcoin prices have declined by more than 20% since hitting a near-term high on May 6. Nearly every single cryptocurrency in the top 100 by market capitalization was in the red Wednesday. Of course, the recent downturn hasn't stopped Bitcoin's most vocal bulls from setting lofty targets for the year ahead. Fundstrat co-founder Tom Lee stuck with his price target of $25,000. In an appearance on CNBC Tuesday, Lee listed three factors that would push Bitcoin prices higher. Lee noted the cost of producing Bitcoin, historical trading patterns, and an increased interest from institutional investors. 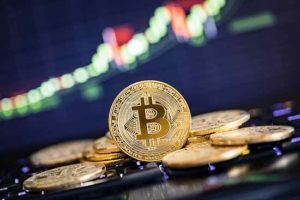 Bitcoin prices fell back to the $7,500 level over the last 24 hours, as markets continued a broader selloff in the cryptocurrency sector.